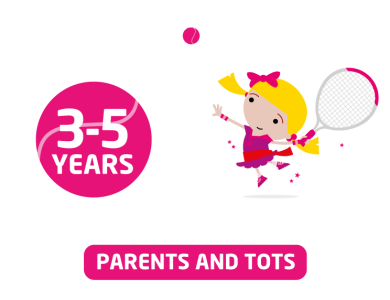 Tots tennis is aimed at children ages 3-5 years and teaches key hand-eye co-ordination skills and whole-body movements that will help them progress through to Mini Tennis Red and beyond. 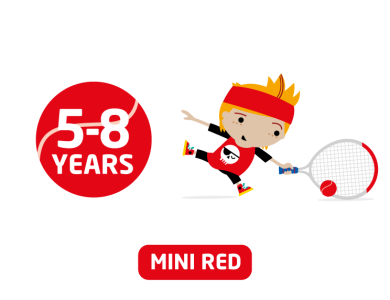 Mini Tennis Red is a great way for players to start out in tennis and is for players aged 8 and under. It is played on smaller courts with shorter rackets and softer balls. It’s just like the real game and gives players opportunities to have long rallies and play different types of shots. 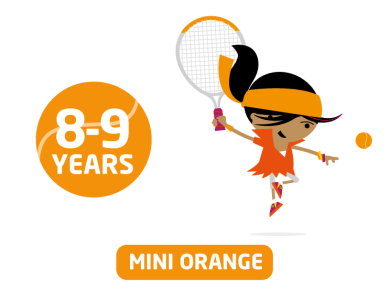 Mini Tennis Orange is for players aged from 8 - 9 years. It is a great way for players to continue their progress from Red through developing all the shots required to play the full game and providing fun competition. 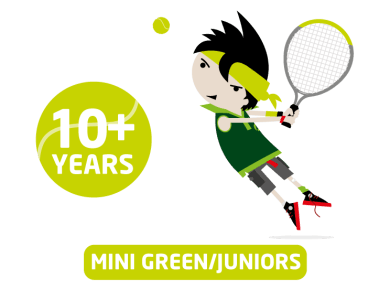 The Mini Green / Junior session is for young players who would like to improve their game but to also meet other young players and enjoy some friendly games and competition. 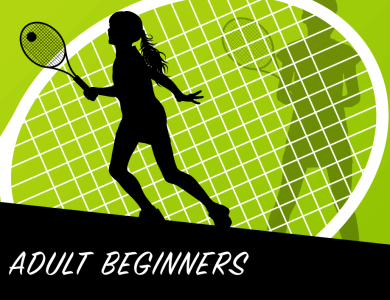 Tennis Xpress is a beginner adult introductory coaching course for players who want to learn the basics of the sport. 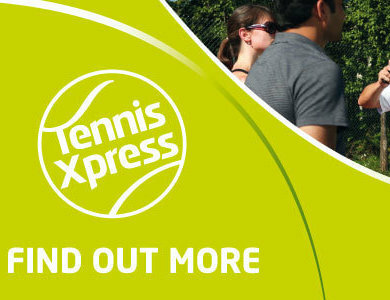 Tennis Xpress is centered on the use of modified equipment such as slower bouncing green and orange balls to ensure that players quickly learn the game of tennis; being able to serve, rally and score by the end of the course. 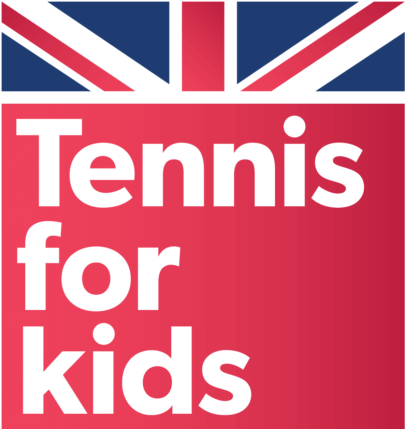 The Adult Beginner session is aimed at those who have played very little or no tennis but are keen to learn and develop their technical and tactical ability through drills and structured practices. 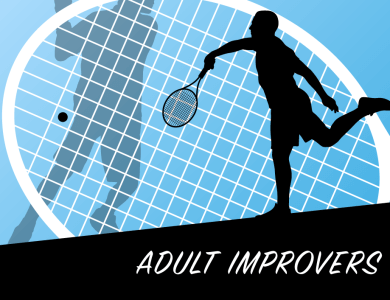 Adult Improvers is a session designed for adults who have played tennis before and who have a level of competency across the game but still looking to improve their level. 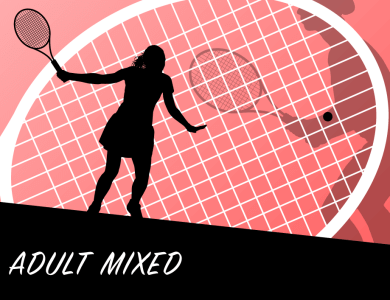 The Adult Mixed is a session for all abilities and is a chance for everyone to play together and meet new adults. Each week’s session focuses on a different area of the game and you will improve your ability with a mixture of skills training from professional coaches and match play with other women at your level. This session is for women only. Sharpen your skills and teach your mates a lesson this summer. 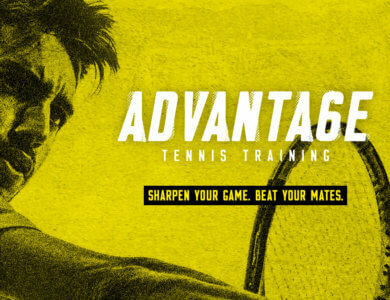 Advantage Tennis Training focuses on a number of tactical themes each week, giving your game a real edge. You'll improve your level with sessions run by professional coaches and training with similar level male players. Make sure you book your place and gain the advantage on your mates.